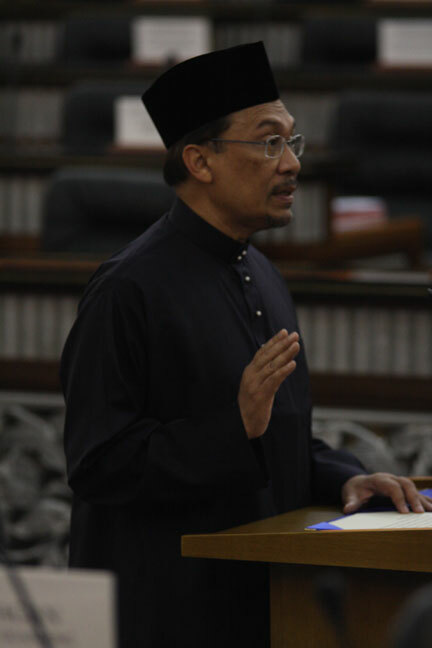 At 10:02 a.m. this morning, YBhg Dato’ Seri Anwar Ibrahim was officially sworn into Parliament as the MP for Permatang Pauh and the Leader of the Opposition by the Speaker, Tan Sri Padikar Amin. This historic day will go down into history as the beginning of a new dawn ! The journey of a thousand miles has just begun and the path ahead are laid with many obstacles not by choice but by the incompetent people in power than fear losing their ill-gotten wealth if changes comes too early. We will continue to pray for sanity to return to this beloved nation which has been blessed without natural disasters and many other calamity which other nations around are inflicted. Let the parliament session be more meaningful with DSAI as the leader as he was their former comrade who would know how they think even before they speak. Let the real show begins and the march to PJ (pun intended – putrajaya) will follow soon. We the people have had enough of the bn antics and vindicative attitudes. Enough is enough and change cannot be suppressed anymore as time and tide waits for no man. Congratulation! Datuk Seri Anwar Ibrahim. Congratulation to the people of Permatang Pauh for doing the right thing by voting for Datuk Seri Anwar Ibrahim. Welcome home. Parliament will not be the same again. The whole country is awaiting for you to lead us out of the doldrums under Badawi’s administration. Once again, congratulation to Datuk Seri Anwar for winning with such handsome majority. I second that, bro. As YB, you will now, more so than ever, be part of the change that has given so many us much encouragement and hope. I only have one motion to table: YB Wee for FT Minister in a Pakatan government. Any seconders? I can tell from the looks of YB Wee CK, his political life will be more promising as the months go by. In a Pakatan Rakyat government, he will not be disappointed wherever he may be positioned b.cos his dispositioin tells me he is just as merry as his smile in the picture which is full of life and cheerfulness. And just this alone, I guess he will be riding on Highway Lucky. ctchoolaw mana boleh YB WEE jadi menteri WP! YB WEE mesti jadi menteri pengangkutan kasi bersihkan itu airasia,JPJ,monorail dan lain-lain! I personally question the need for FT minister. Why the need for it? If we have a Dato Bandar for KL, that should be enough. YB Wee could play a role in the Law Ministry, I suppose. 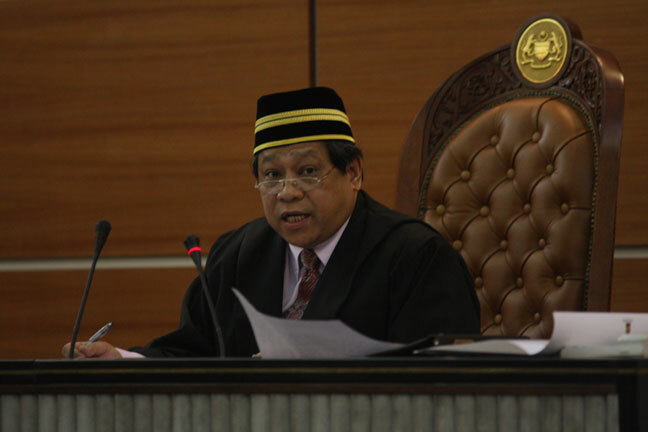 Within Pakatan Pakyat, who can be a law minister? YB Wee, YB Karpal Singh, YB Lim Kit Siang, or even Zaid Ibrahim who may be better off serving in a PR dominated environment.